CAN INDIA'S NEW BANKS CONTINUE TO EXPAND? Clad in a bright red sari on the veranda of her home in rural eastern India, 34-year-old Sudha Yenigalla patiently works her way through a crowd of elderly villagers gathered to withdraw their monthly pension. Each payment is processed in a matter of seconds, thanks to the “micro-ATM” she carries: a lightweight device comprising a Chinese-made touch screen and a fingerprint scanner, which she uses to verify the pensioners’ identities through the government’s new biometric ID system. As a local agent for the recently established IDFC Bank, Yenigalla is part of a new generation of banks in India. Her micro-ATM is the closest thing to a bank branch that the 2,300 residents of Inapuru, in Andhra Pradesh state, have ever had — enabling them to set up and access bank accounts without a grueling journey to the nearest town. Nepal’s Prime Minister K.P. Oli just paid a three-day state visit to India, his first foreign visit after taking office on February 15 this year, and his second visit to India as prime minister. 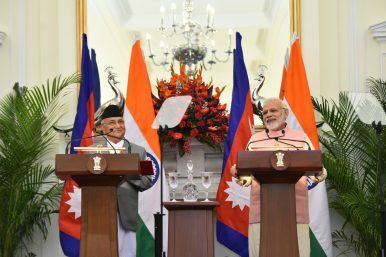 During the visit, from April 6 to 8, Nepal and India signed just three new agreements — a partnership in agriculture, as well as plans for connectivity through inland waterways and expanding linkages to connect Indian railway lines to Kathmandu — breaking the tradition of signing a long list of documents. Both sides described the three initial agreements as “path breaking agreements” to boost connectivity between the two countries. The two prime ministers also inaugurated a petroleum pipeline to be constructed between India and Nepal. Brazil's poor infrastructure has long hurt the competitiveness of its soybean exports, but the country's producers will benefit greatly as new rail and port projects come online in the Amazon region. Problems for its main soybean export rivals, the United States and Argentina, will strengthen Brazil's trade relations with China this year. Brazil's soybean exports to China will increase further because the South American country has an abundance of land suitable for producing soybeans with higher protein levels. It's a long way from the southern reaches of the Brazilian Amazon to China, but it's a path that many more are set to tread. In the early 2000s, China didn't even figure among Brazil's top five export markets, but in every year since 2009, Beijing has been Brasilia's main trade partner. Today, China is a major market for Brazil's soybean exports, which account for over 40 percent of its total exports to the Asian country. And because of Beijing's trade spat with the United States and ambitious infrastructure investments in Brazil, Brazilian soybean exports to China are poised to keep growing. At a time when ‘cyber anarchy’ seems to prevail in the international system, the emergence in 2015 of US–China consensus against ‘cyber-enabled theft of intellectual property’ initially appeared to promise progress towards order. 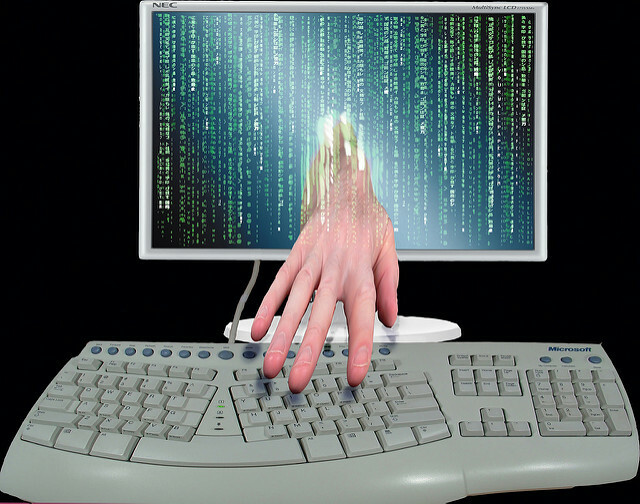 The nascent norm against commercial cyber espionage that emerged between Xi Jinping and Barack Obama was later reaffirmed by the G‑20. China subsequently recommitted to this proscription in a number of bilateral agreements, including reaching a parallel commitment with Australia in April 2017. InSeptember, the chairman of the Joint Chiefs of Staff told Congress he believes China will pose the “greatest threat” to the United States by 2025. 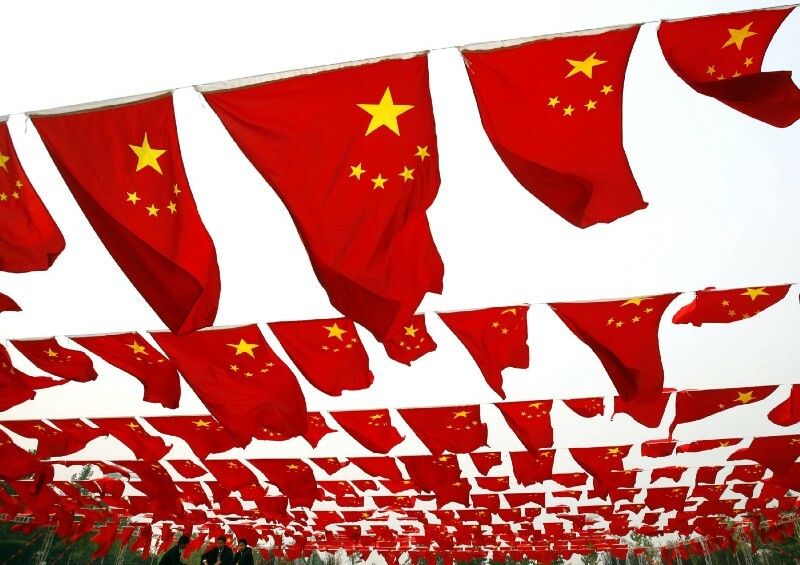 It’s something we’ve been hearing a lot of from commentators: Is China a rising superpower? Will it someday displace the United States as the world’s most powerful country? Will the United States and China go to war? In short, the answers are: no, very unlikely, and probably not. 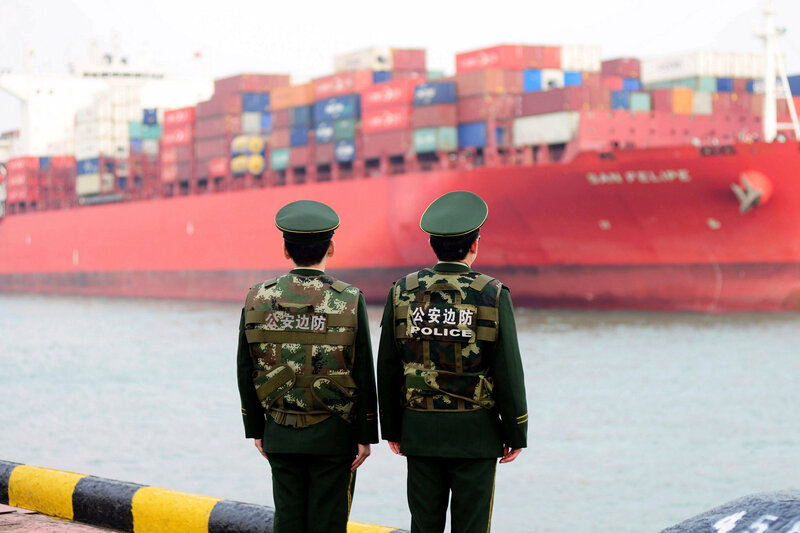 Chinese border police officers watching the arrival of a container ship at a port in Qingdao, China. On Wednesday, China threatened to retaliate against many of the American products and industries that President Trump has vowed to protect. CreditChinatopix, via Associated Press WASHINGTON — White House officials moved quickly on Wednesday to calm fears of a potential trade war with China, saying the administration’s proposed tariffs were a “threat” that would ultimately help, not hurt, the United States economy, hours after China said it would punish American products with similar levies. China's President Xi Jinping delivers a speech at the opening session of the Chinese Communist Party's Congress at the Great Hall of the People in Beijing on Oct. 18. In January 2017, Xiao Jianhua, a Chinese businessman, was kidnapped from his hotel in Hong Kong and ferried to the mainland. His case is not unique — China has kidnapped or forcibly repatriated dozens of people from around the world over the past two decades, Zach Dorfman reports in Foreign Policy. And now, these kidnappings may be happening in the United States. Did nation state hackers target computer networks of Iran by exploiting a flaw with Cisco routers? “Advanced actors” have exploited a flaw with Cisco routers to launch an attack at the weekend that apparently hit 200,000 routers around the world. This included 3,500 switches in Iran, according to that country’s Communication and Information Technology Ministry, as reported by Iran’s official news agency IRNA. And there is a suspicion that these “advanced actors” could have been working for a nation state, after computer screens in data centres in Iran were left with the image of a US flag on screens along with a warning: “Don’t mess with our elections”. Bahrain's discovery of the Khaleej Al Bahrain oil and gas field has the potential to make a material change in the country's financial crisis, but there are roadblocks. It will be five to 10 years before production begins in substantial volumes, it will be expensive, and it's not clear how much of the oil and gas can be recovered. In the meantime, Bahrain will use the long-term potential of increased oil and gas production — and the state revenue that comes with it — to attract new investment. An increase in oil revenue will allow the country to boost some of the social services that it provides to its restive population and reduce the need for painful economic adjustments. Monitor: New Electronic Warfare in Ukraine? Earlier this week, the Ukrainian NGO “Come Back Alive” published a drone video showing a Russian-led separatist outpost in the Donbas. The most interesting item revealed in the footage was an electronic warfare system. We geolocated this video footage to a gas station in non-government-controlled territory to the north of Horlivka. The prosperity of any economy relies on a variety of factors that drive productivity. One way of measuring these elements is by examining competitiveness, which the World Economic Forum (WEF) defines as “the set of institutions, policies and factors that determine the level of productivity of a country.” Importantly, a country’s economic output is highly dependent on the overall well-being of its population and the robustness of its legal institutions. Perhaps the most visible component of China’s global competitiveness is the size of its economy. Measured in terms of purchasing power, China produced roughly $21 trillionworth of goods and services in 2017, almost $3 trillion more than the US and $16 trillion more than Japan.1 Although the relationship between market size and productivity is multifaceted, the demand for Chinese goods has been at the heart of China’s economic success story. President Donald Trump is pushing for a withdrawal of U.S. forces from Syria, citing the considerable resources the United States has expended in the Middle East. A U.S. pullout from Syria could pave the way for an improvement in relations with Turkey and Russia. A withdrawal could also damage U.S. credibility, hamper the fight against the Islamic State and weaken Washington's ability to pressure Iran. A friend of mine recently posed a question that I’ve heard many times in varying forms and forums: “Do you think IT and some lower-level programming jobs are going to go the way of the dodo? Seems a bit like a massive job bubble that’s gonna burst. It’s my opinion that one of the only things keeping tech and lower-level computer science-related jobs “prestigious” and well-paid is ridiculous industry jargon and public ignorance about computers, which are both going to go away in the next 10 years. […]” This question is simultaneously on point about the future of technology jobs and exemplary of some pervasive misunderstandings regarding the field of software engineering. While it’s true that there is a great deal of “ridiculous industry jargon” there are equally many genuinely difficult problems waiting to be solved by those with the right skill-set. Some software jobs are definitely going away but programmers with the right experience and knowledge will continue to be prestigious and well remunerated for many years to come; as an example look at the recent explosion of AI researcher salaries and the corresponding dearth of available talent. Bayer and Monsanto have a long history of collusion to poison the ecosystem for profit. The Trump administration should veto their merger not just to protect competitors but to ensure human and planetary survival. Two new studies from Europe have found that the number of farm birds in France has crashed by a third in just 15 years, with some species being almost eradicated. The collapse in the bird population mirrors the discovery last October that over three quarters of all flying insects in Germany have vanished in just three decades. Insects are the staple food source of birds, the pollinators of fruits, and the aerators of the soil. 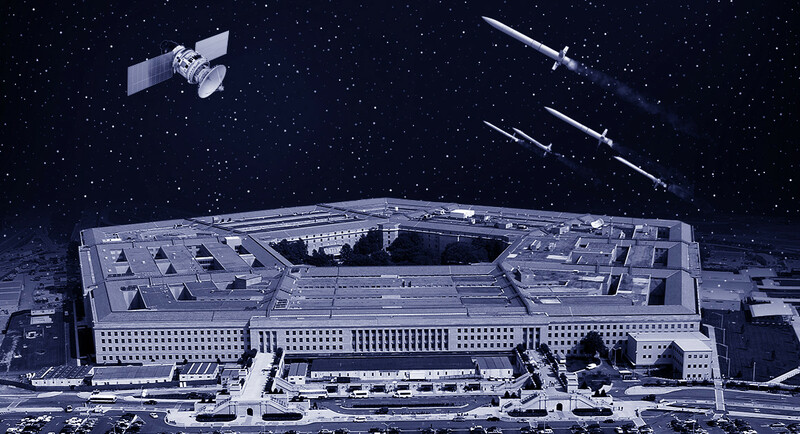 War is coming to outer space, and the Pentagon warns it is not yet ready, following years of underinvesting while the military focused on a host of threats on Earth. Russia and China are years ahead of the United States in developing the means to destroy or disable satellites that the U.S. military depends on for everything from gathering intelligence to guiding precision bombs, missiles and drones. Now the Pentagon is trying to catch up — pouring billions more dollars into hardening its defenses against anti-satellite weapons, training troops to operate in the event their space lifeline is cut, and honing ways to retaliate against a new form of combat that experts warn could affect millions of people, cause untold collateral damage and spread to battlefields on Earth. U.S. Army Spc. Julio Rodriquez, with the 1014th Sapper Company, Task Force Roughneck, Task Force Sword, a combat engineer form Canovanas, Puerto Rico, teaches new reconnaissance software (Automated Route Reconnaissance Kit) to soldiers from the 190th Engineer Company, TF Roughneck, at Forward Operating Base Deh Dadi 2, Dec. 6. The 1014th Sapper Company reached out to qualify their fellow engineers with the 190th Eng. Company. The migration of command and control into the digital realm in recent years has been described as a crucial advance, but military leaders say that’s only half the game. INTELLIGENCE, a new crowd-funded investigative journalism project, breaks the exclusive story of how the United States intelligence community funded, nurtured and incubated Google as part of a drive to dominate the world through control of information. Seed-funded by the NSA and CIA, Google was merely the first among a plethora of private sector start-ups co-opted by US intelligence to retain ‘information superiority.’ The origins of this ingenious strategy trace back to a secret Pentagon-sponsored group, that for the last two decades has functioned as a bridge between the US government and elites across the business, industry, finance, corporate, and media sectors. The group has allowed some of the most powerful special interests in corporate America to systematically circumvent democratic accountability and the rule of law to influence government policies, as well as public opinion in the US and around the world. The results have been catastrophic: NSA mass surveillance, a permanent state of global war, and a new initiative to transform the US military into Skynet. In 2007, the U.S. Federal Communications Commission (FCC) fined three mobile phone operators for failing to ensure that first responders could locate their customers if those customers were to dial 911 during an emergency. The nationwide initiative to get telecommunications companies to invest in location technologies has been difficult: each company wanted the other parties—including public safety agencies—to invest before it would make its own move. As a result, everyone held off complying with the 2005 FCC mandate. 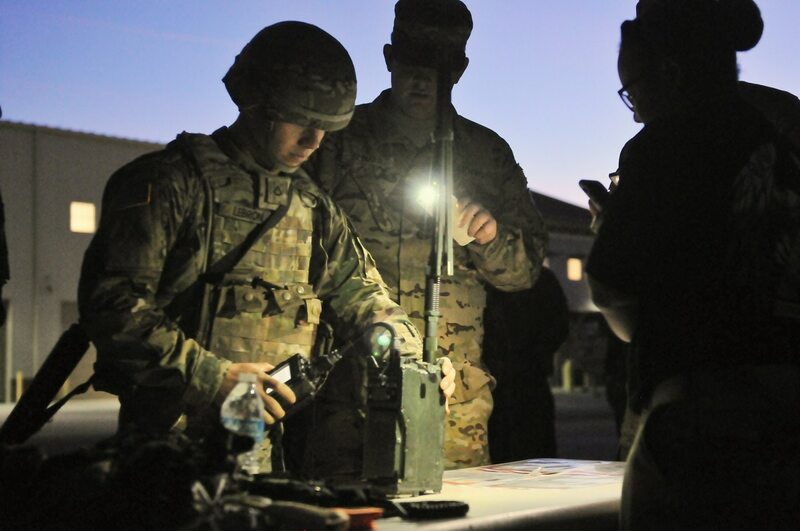 Advancements in electronics and tactics by high-end adversaries are forcing the Army to change the way it revamps and optimizes its communications network against current and future threats. The problem: adversaries have become more proficient and precise in the sensing and jamming of signals. 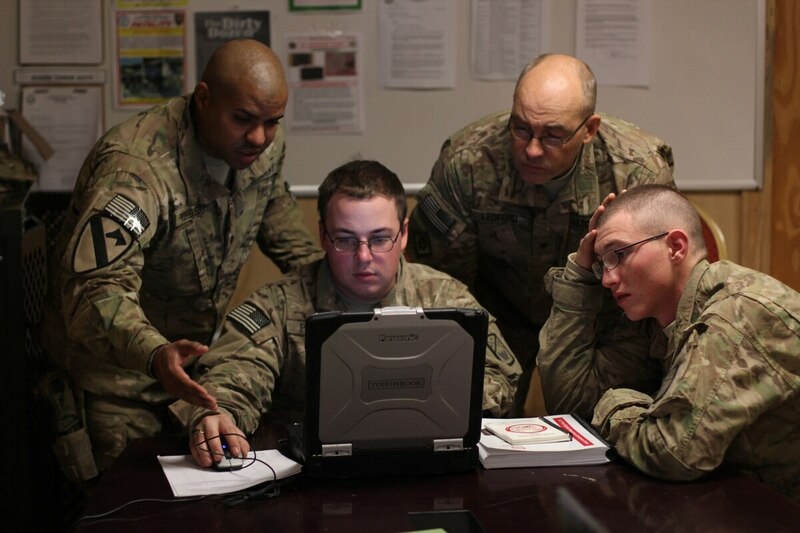 “What we’re looking for in terms of resilience in the future is not only making individual links more anti-jam and resilient, resistant to threats, but also having the ability to use multiple paths if one goes down,” Joe Welch, chief engineer at Program Executive Office Command, Control, Communications Tactical (C3T), told reporters during a network demo at Fort Myer in early March.